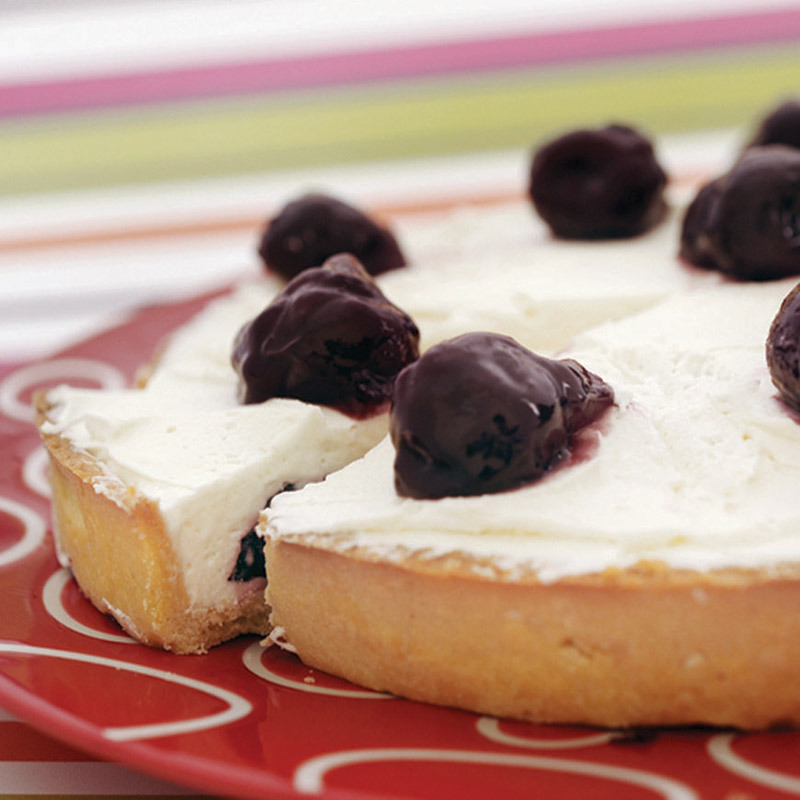 Perfect mix of cherry & taart! 1. kocok mentega dan gula halus hingga rata, lalu masukan trelur sambil terus dikocok hingga lembut. 2. masukan terigu, kocok hingga rata. Bungkus dengan plastik dan simpan dalam chiller untuk digunakan kemudian. 1. Masak semua bahan jadi satu hingga mendidih dan kental. 1. masak susu hingga mendidih, lalu tuang ke dalam ChefMate White Chocolate Compound, aduk hingga rata. 2. masukan cream cheese aduk rata. mixer/ blender hingga lembut. 3. masukan whip cream, aduk rata. 1. Cetak sugar do' dengan cetakan pie, lalu oven pada suhu 160*C hingga matang, biarkan dingin dan lepas dari cetakan. Poles ChefMate White Chocolate Compound hingga rata pada permukaan dalam kuli pie. 2. poleskan filling tipis-tipis pada dasar pie. 3. susun cherry filling di atasnya. 4. tutup lagi dengan filling hingga penuh. 1. Whip the butter and the castor sugar until they mix well, then add egg while beating until smooth. 2. Add flour, mix well. Wrap with a plastic and store in a chiller to be used later. 1. Boil all ingredients until they all thicken. 1. Boil the milk, add in ChefMate White Chocolate Compund, mix evenly. 2. Add cream cheese and mix well. Mix or blend to smoothness. 3. Add whip cream, mix well. 1. Mold sugar dough using pie ramekin, then put it in an oven 160°C until it’s cooked, let it cool and take it out of the ramekin. Smear ChefMate White Chocolate Compund until even on the pie’s surface. 2. Add the filling thinly on the base of the pie. 3. Place the cherry filling on top of it. 4. Cover the cherry with more filling until it’s full.